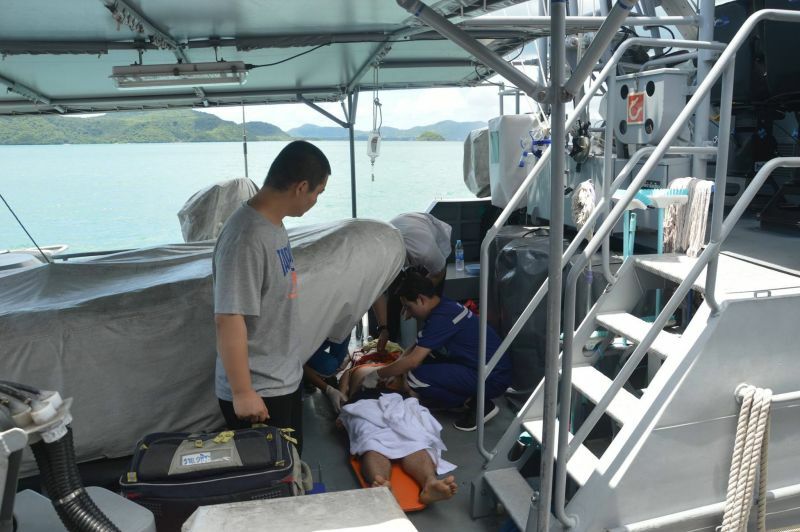 PHUKET: A vessel from the Cape Panwa-based Royal Thai Navy Third Area Command was sent out to an area close to Koh Mai Thon today to help a crew member of a Chinese cargo ship who had suffered injuries after falling from the bridge of the boat. 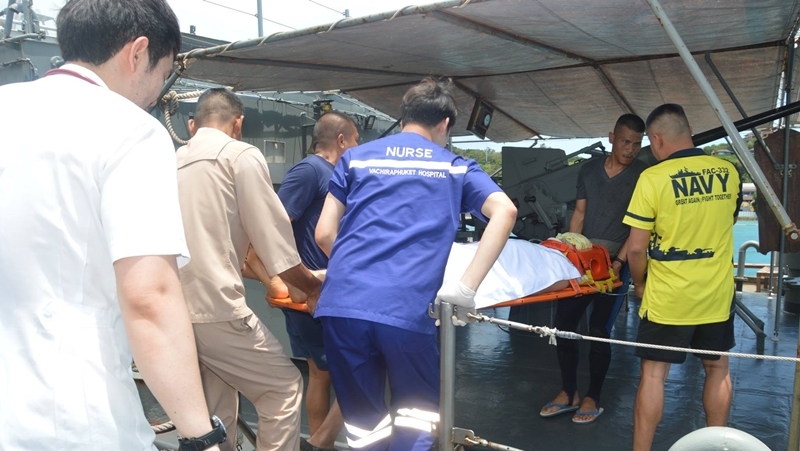 The Operation Centre of the Royal Thai Navy Third Area Command was informed by the BKK RCC that a crew member of the Chinese-registered Ever Progress cargo ship had suffered injuries when he fell from the bridge onto the deck of the vessel. 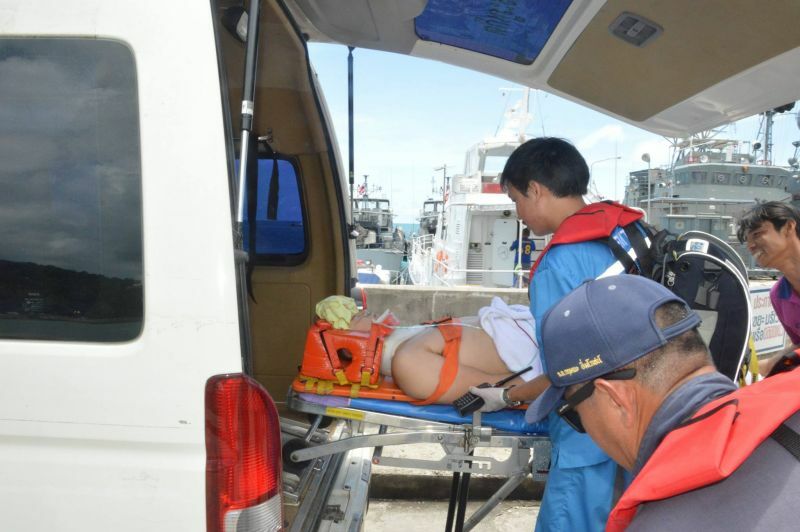 The message was received from the captain of the Ever Progress Tao Zeyang. 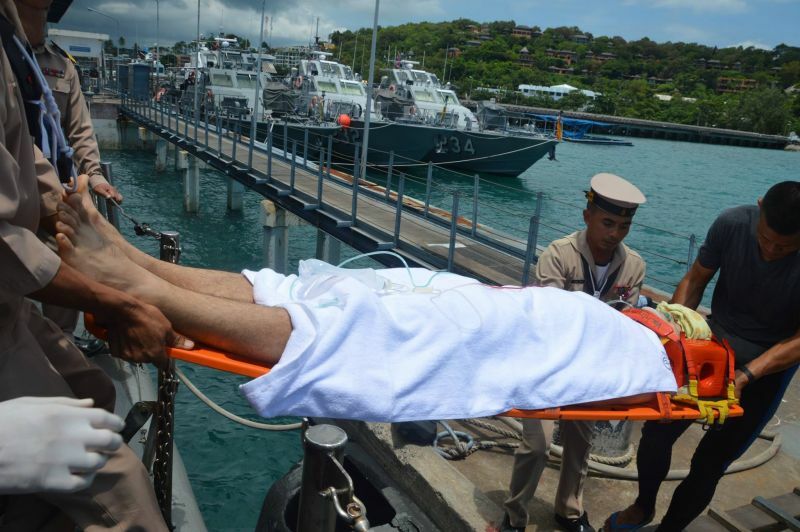 At 8am today, Commander of the Royal Thai Navy Third Area Command Vice Admiral Somnuk Preampramot ordered the Tor 233 Navy vessel to go out to assist. 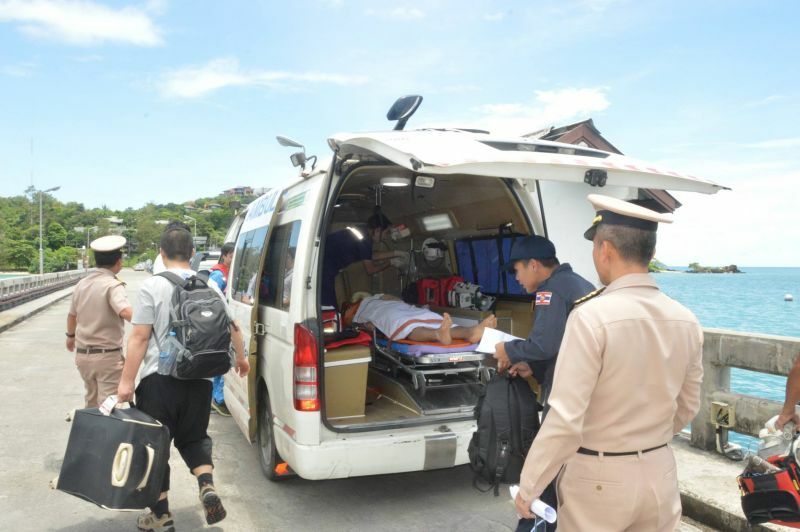 The Tor 233 Koh Mai Thon where it provided first aid to the injured crew member before transferring him back to Phuket and on to Vachira Phuket Hospital where he is currently receiving treatment.